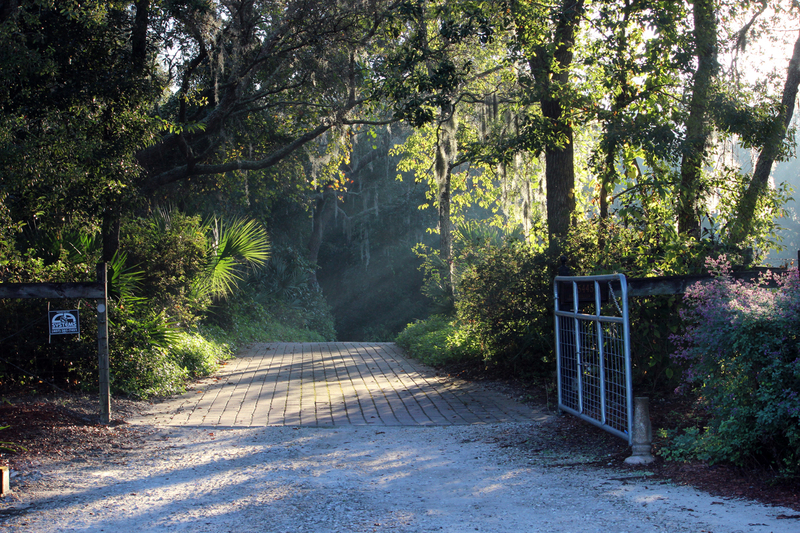 Oviedo, FL: On a dirt road near my home there are five acre plots of land, each with one home. These are not ginormous new money monuments to consumerism homes. These are off the grid within the city limits style homes. Big vegetable gardens, a couple of goats or cows, unmanicured, natural lawns. Old Florida. There’s a beauty in all the messiness. On many mornings the early light reaches the ground in shafts broken by trees. The whole effect is ethereal and mystical. A simple driveway gate becomes an entry into a magical place.